I have 5 questions for you today. For the last 2 questions, I don’t know the answers and I am hoping you will let me in on your secrets ! Here we go – Have you seen this pin? Maybe you saw something similar – but not this one. 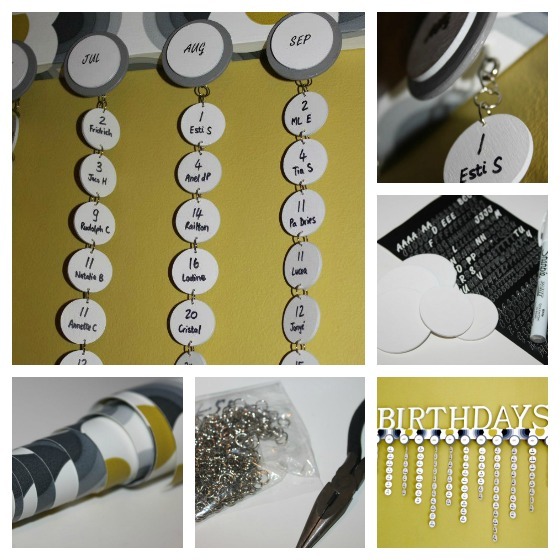 I know – because this birthday calendar has just been made – DIY – and never been pinned before (YOU, off course are very welcome to be the first to pin it !). Are you addicted to it? Sort of?? TIny bit?? Ok – knew the answer to that one too. But, for the next question – I am wondering about your answer ….. are you a practicing or a passive Pinner? A what….? Passive – you love pinning. The end. That is where things stay – never make a recipe, never try the 10 health tips, never mix your own modge podge. Just adore you boards and feel like you accomplished a lot after a day of productive pinning (ME). Practising – you geniunely look for things that apply, you actually go back and make them ! (MY SISTER). My sister and I, from 2 continents, pinned the same pin (a different version of the one above, but we had a few opinions on it) – both thought it was a cute idea though. Chatting one late night on Skype about our total aversion to traditional birthday calendars where there is never enough space, and you forget in any case to turn the pages, so you don’t see the next month’s entries and then you may as well not have one to begin with. But this in-your-face, on-the-wall version that grows with your circle of friends and family is just perfect. 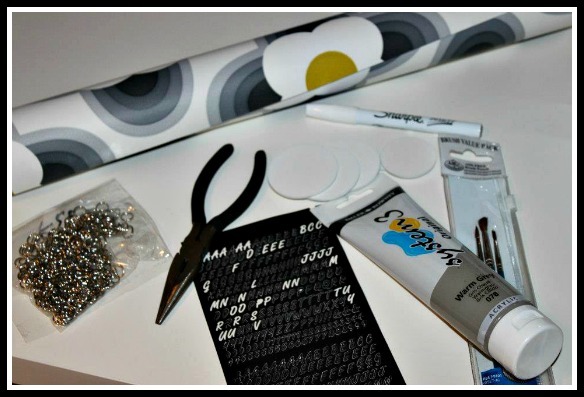 On her visit to Korea,we talked about how she could finish off her ‘Orla Kiely -inspired’ study room at home. We remembered this pin again and agreed this would be the perfect finishing touch to fill the empty spot on the wall. We rushed off to the Korean market, Dongdaemun, and gathered supplies. She had some of the beautiful wallpaper left – enough to cover a plank – so no need to spend on expensive wood or paint. Easier than painting the header, we bought some wooden letters that she could place on top of the plank – no need to attach to the wall. Here is a picture from below so you can get the perspective of the letters and how thick the plank should be. The “months”‘ were added an additional chip that was painted gray for a nice contrasting color to the white and to blend in with the color scheme. Instead, she decided to just take a plank, cover it with some leftover Orla Kiely wallpaper and make it broad enough to have a safe ledge for the wooden letters to rest on. Stencils were used for the MONTHS, but a Sharpie did just fine for the DAYS – especially if you have to keep on adding as your friends get added to you board… for that reason your own handwriting is best, because you don’t want to have 180 chips in one font and color and then you run out of stencils….or add over the years and then you have to get out a paintbrush every time. No, keep it simple and keep them the same. 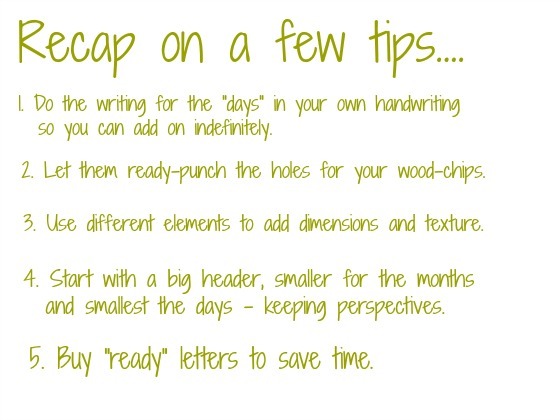 Just write on them – easy ! And that is basically Birthday Board in a nutshell ! A picture paints a thousand words ! I love how it came out. (that must have something to do with the fact that I had to throw in my ideas and inspiration of the how we will tweak the original, where to find things and …….- ok, enough credit for me ! She really did it.) I am the pinner and planner, she is the implementer. 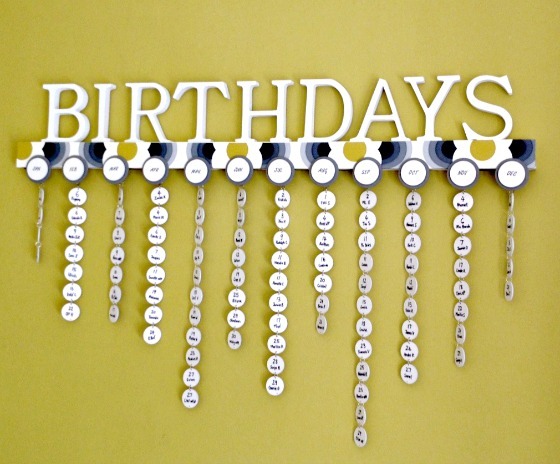 But to be fair to the person who came up with the idea of this birthday board in the first instance – here is the credit that is due to Lolly Jane. There you can find the whole tutorial on the exact how-to’s. 1. Have you seen this pin? 2. Are you on Pinterest? 3. Are you semi addicted ? 4. Are you a PRACTISING (*) or a PASSIVE (**) pinner? – I’m curious tell me? 5. If you are “practising” – Tell me what you have done that you have seen on Pinterest? What have you actually taken off your Board and put into your LIFE ??? 6. This is not a question – If you are a “passive” pinner – oh, just go ahead and pin this !! You will never make it, but I know you will love looking at it as if you plan to make it !! You can be sure to soon see it on my PInterest boards here. lOVELY IDEA! wELL DONE YOU TWO! Thanks for the shout out 😉 We appreciate that. 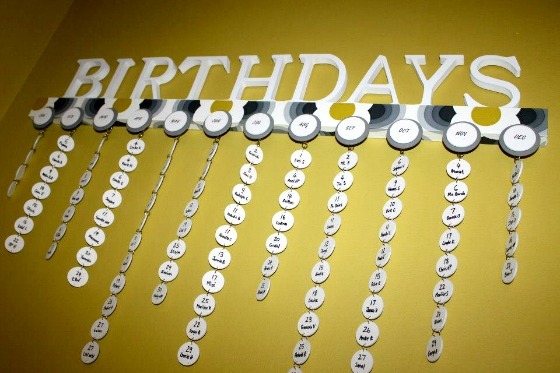 I love the birthday idea, not sure i will make it though! You poor thing Brigitte !! Quilting sounds like a great option for being home though !! Hong Kong homes don’t have enough wall space to put these things up – so I have an excuse too – and I am sure you have same in Paris !!!! ilze these things give me panic attacks!!!! want to be like you but can’t 😉 love your creativity. Love this Ilze! I am so much looking forward to work less. Have a huge Martha Steward Craft book that makes me think of you! And now with Christmas coming… would love to stay home, drinking tea, crafting, baking and cooking. Keep on posting. Want to be there when we celebrate your blog getting bigger. Just curious where you finally found the wood chips and when you say have “them” put holes in them for you, who is “them?” Will they do that at, say, Home Depot? 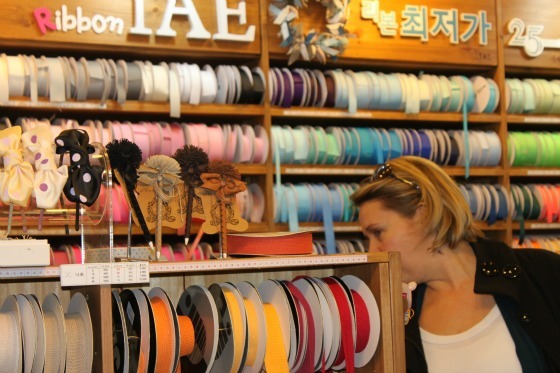 Hi Patricia – I found it at the Fabric & Accessory market in Korea – at Dongdaemun, but I think in the UK or US places like Hobbycraft, Michaels or any craftstore might be a better bet than a big handystore or market. I asked the guy who supplied them to make holes in them, but a store might not be so willing. It is not a big deal to drill these holes yourself – no muscle required like hard walls….just very time consuming !! Can you tell me where you purchased the wooden chips? HI Shannan – I just replied to Patricia. Same answer applies. 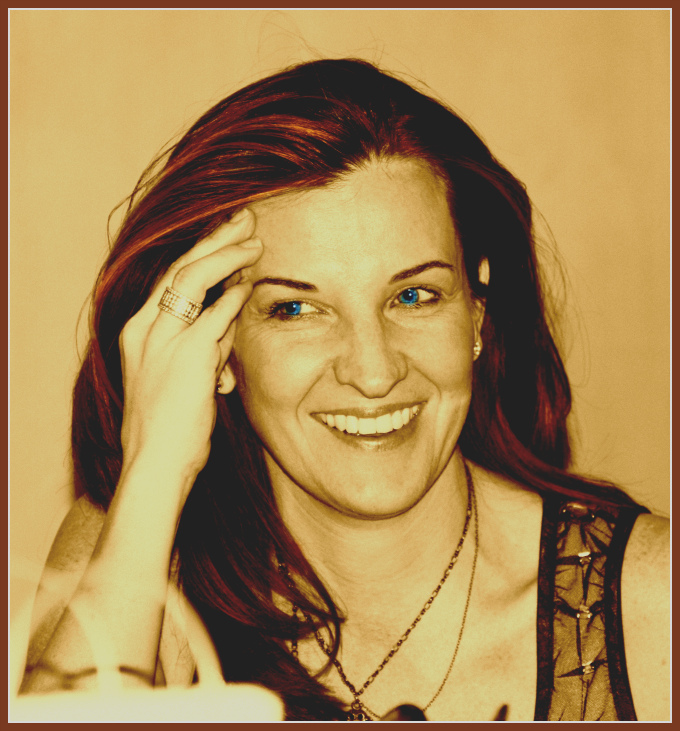 Sorry – I have been away from my blog for a very long time due to internet access where I was…. but happy to be back and hopefully you also find them !! I did find them – thanks. I found mine at Michaels and I had to put the holes in them myself (with my hubby’s help)It really didn’t take too much time – he did just under 100 pieces in about an hr. The hardest part for me was finding the S hooks. But my boards are turning out great – thank you so much for the tutorial.